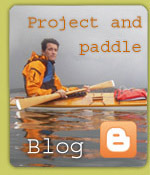 This is the place for video regarding kayak building related stuff: Tips and tricks, kayak building, paddle making etc. Kayak Build @ 2017 Delmarva Paddlers Retreat from Peter Gengler on Vimeo. We let the camera take a picture every minute during this intensive building course. A small video for inspiration on sea socks. The video is not perfect, but neither was my firsk kayak! Hopefully my videos will also become perfect in the future! More from same kayak.....Here we see how I make a watertight hatch.